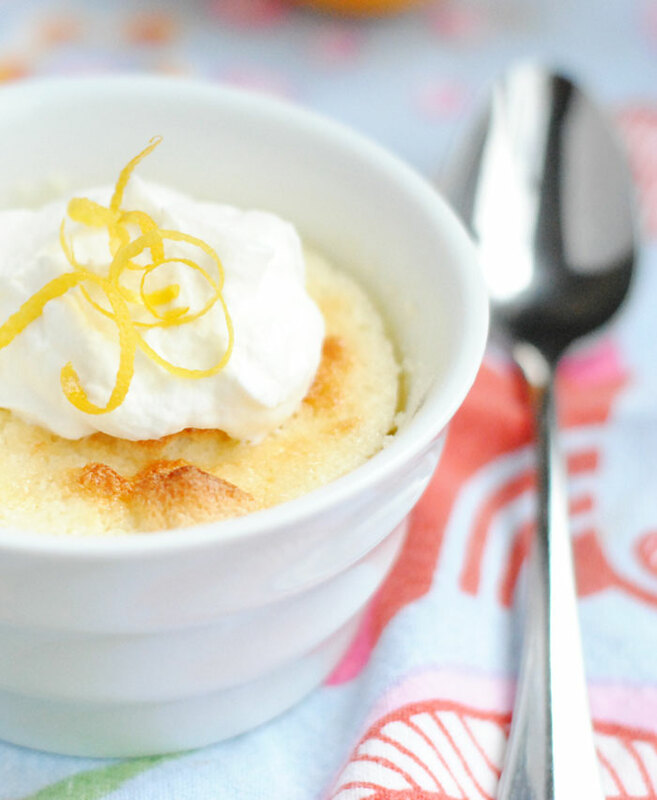 These pudding cakes are a perfect spring dessert. 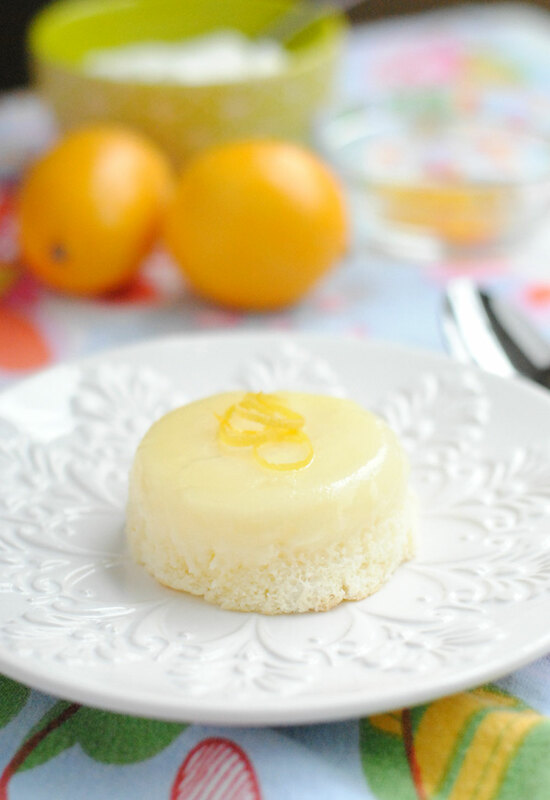 The flavor of the meyer lemon is fresh, tangy and sweet. The texture of the cake is light and fluffy. And the pudding layer is creamy without being the least bit heavy. I was going to just have two bites of one of these this afternoon but ended up eating almost the entire thing. I just couldn’t stop. 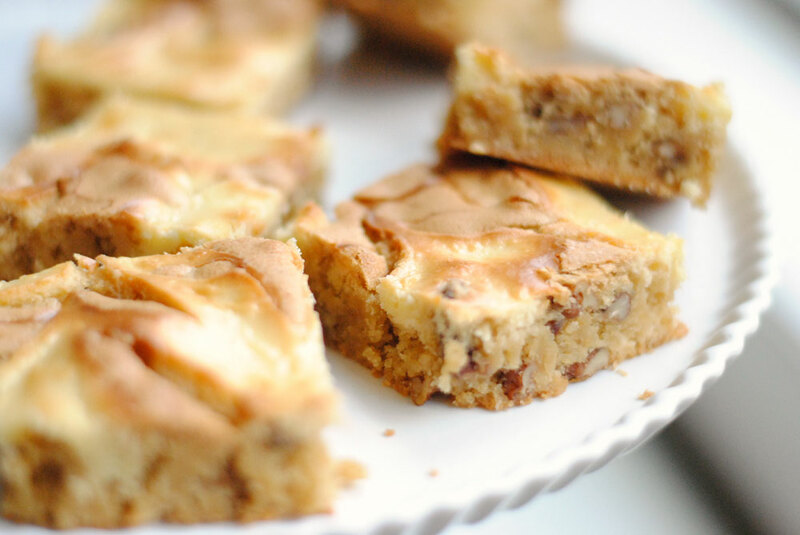 I’d never made pudding cakes before today, and if you haven’t either you should really try them. During baking the cake forms a top cake layer and a bottom layer of pudding-like goodness. When inverted you get one of the most beautiful desserts that requires very little hard labor. I adore desserts that look more impressive than they actually are! I made these in individual dishes since that suits us best, being able to eat one at a time. But you can bake this in a 2 quart dish to serve to a group. They are, however, incredibly lovely and impressive when served individually. And, I have to say it again, they’re not difficult! I don’t know why it took me so long to embrace the single serving dessert! While it does mean more dishes in the end, it’s really special to get your own little serving, don’t you think? If you do make these in ramekins, be sure to grease them well before filling with the batter. After baking, let them cool for about an hour, run a knife around the edge, place a plate on top of the ramekin and flip it over. You may need to wiggle it just a little bit to get it to come out. This is easiest when the puddings are at room temperature. I tried to do it later in the day with one that had been in the fridge for a few hours and it didn’t come out nearly as cleanly. If you do make these ahead of time, let them come to room temperature before flipping. If you don’t want to invert these little babies, you can serve them in the ramekins and they’re just as lovely. Top with a little whipped cream and lemon zest. Preheat oven to 350°F. Grease a 2 quart baking dish or 6 6-ounce ramekins. In a medium sized bowl beat egg whites to stiff peaks, set aside. 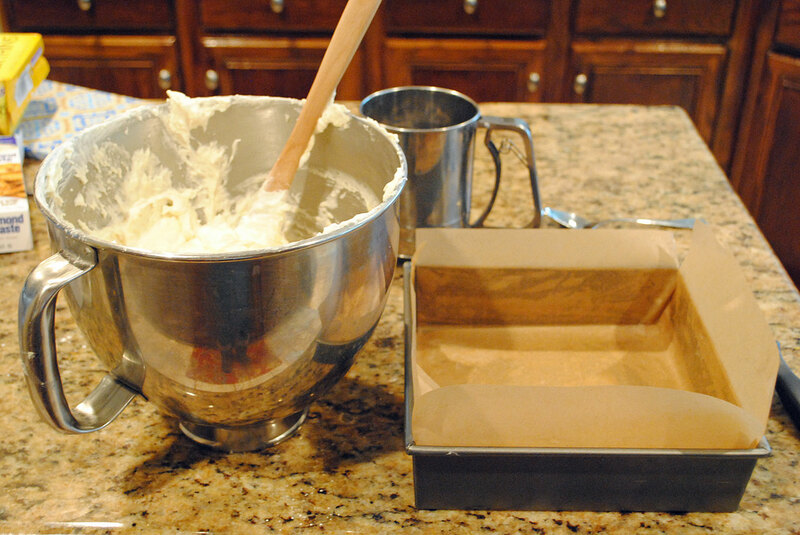 Beat butter and sugar in a large bowl or bowl of a stand mixer on medium speed until light and fluffy, 2-3 minutes. Scrape down the bowl and add egg yolks, beating to combine. With mixer on low, add the flour and salt, lemon juice, then the milk. Mix until just combined. Scrape down the bowl. Fold in egg whites with a rubber spatula until egg whites are incorporated but still visible. The batter will look a little strange and lumpy, this is normal! Pour into prepared pan or ladle into ramekins. Place pan or ramekins into a large baking dish, fill with boiling water halfway up the sides on the dish then put in the oven. Bake for 35-45 minutes if baking in a large dish, 25-35 minutes in individual dishes. Puddings are done when the top is golden and the center springs back when lightly pressed with your finger. Take dish or dishes out of the water bath and let cool on wire racks, about 1 1/2 hours. At this point serve the puddings or cover and refrigerate up to 2 days. Let come to room temperature before inverting onto the plate. 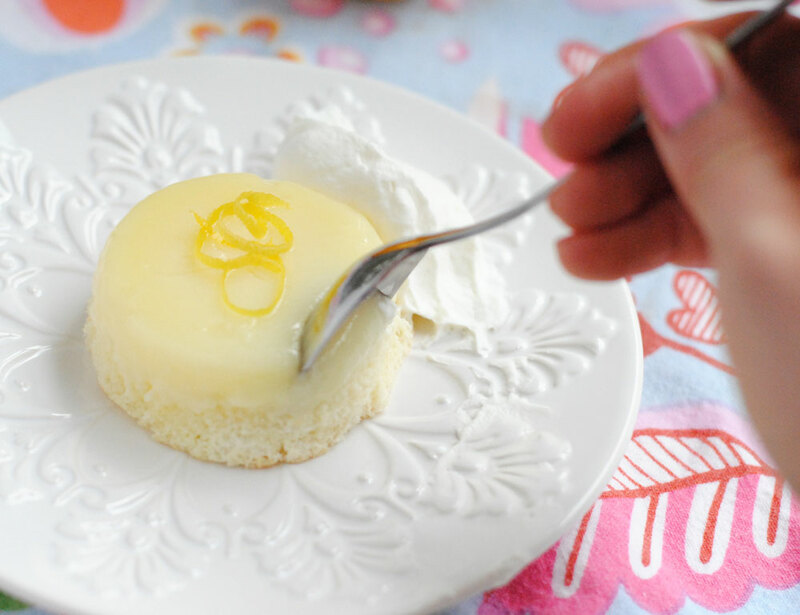 Garnish with lemon zest and whipped cream. 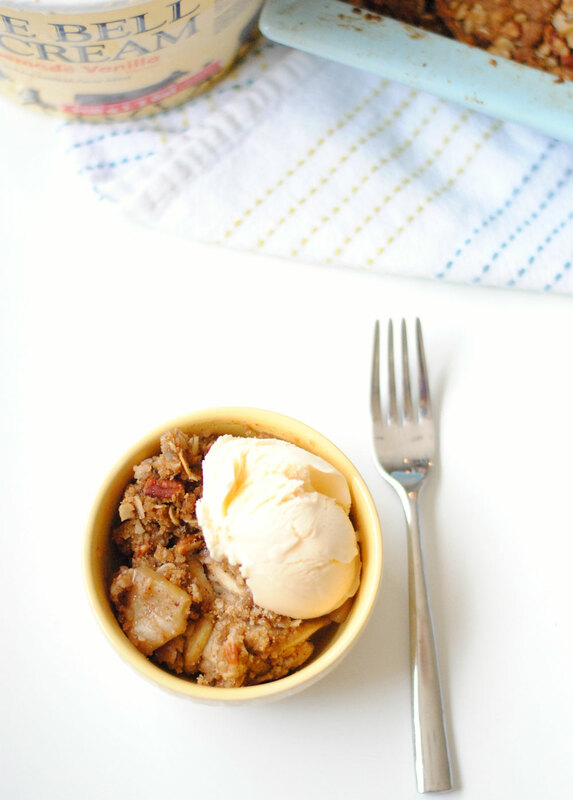 Ok, so I know it’s almost spring and dishes like apple crisp aren’t exactly spring-type desserts. It’s more appropriate for fall or winter. But I made an exception for this most spectacular apple crisp. And let’s be honest, I don’t discriminate when it comes to sweets. Any time, any type, any where. I’m game. 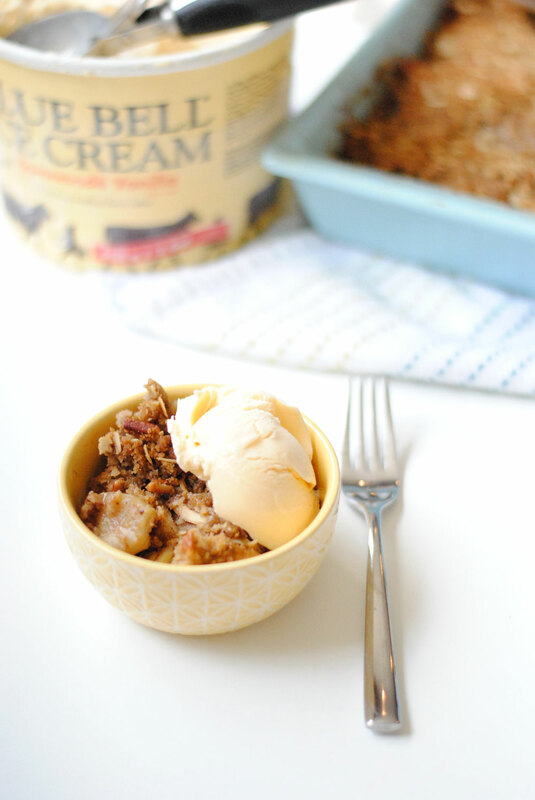 This apple crisp incorporates the wonderfulness of browned butter and is really rich and deep in flavor. 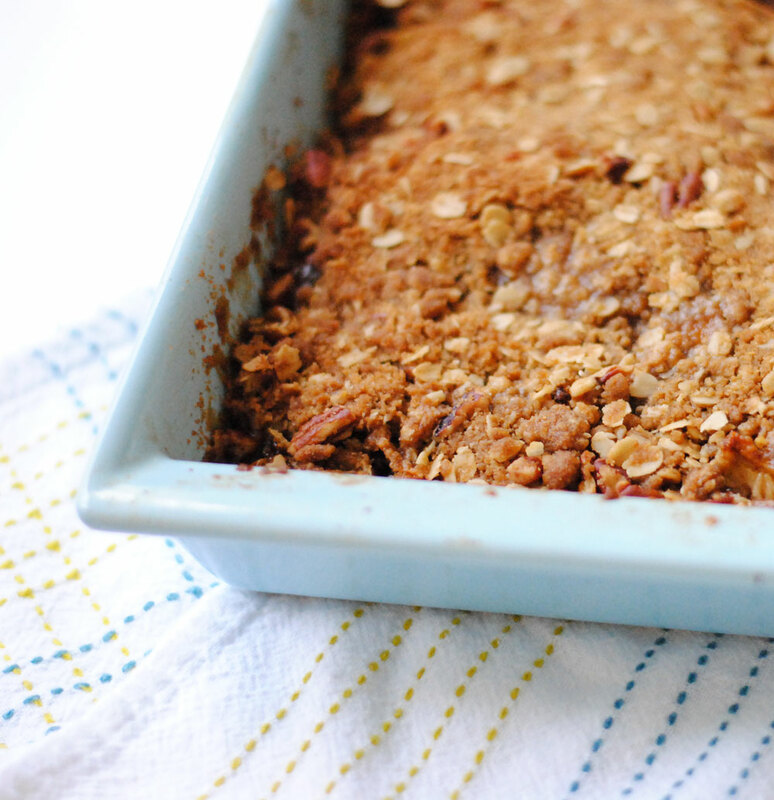 The oat crisp is crunchy and delicious and the abundance of apples make this crisp more like a crust-less apple pie than your typical crisp. 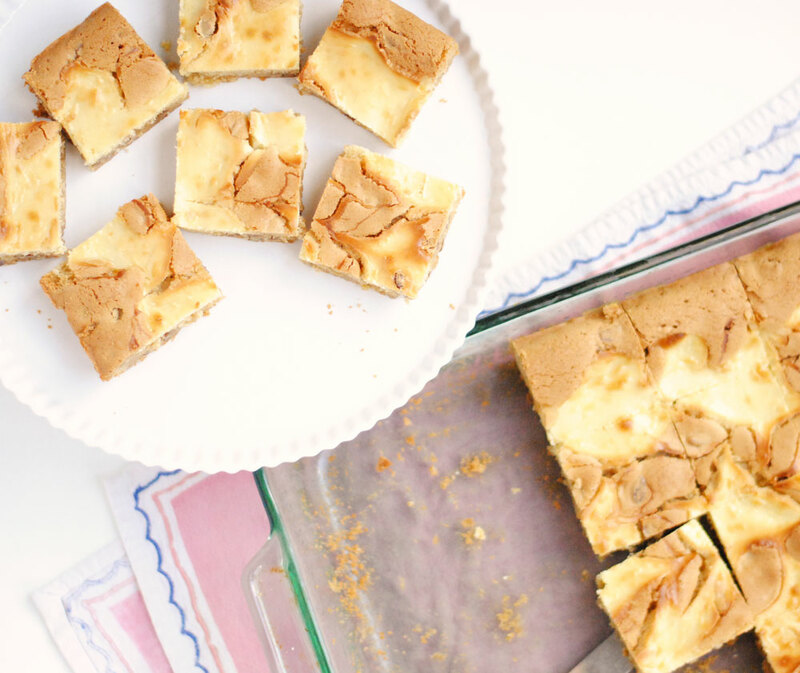 The original recipe calls for an 8×8 pan. I used a 9×9. An 11×7 would be good. And you could probably use a 9×13, but the apples and the crisp topping layers will be thinner as you use a bigger pan. 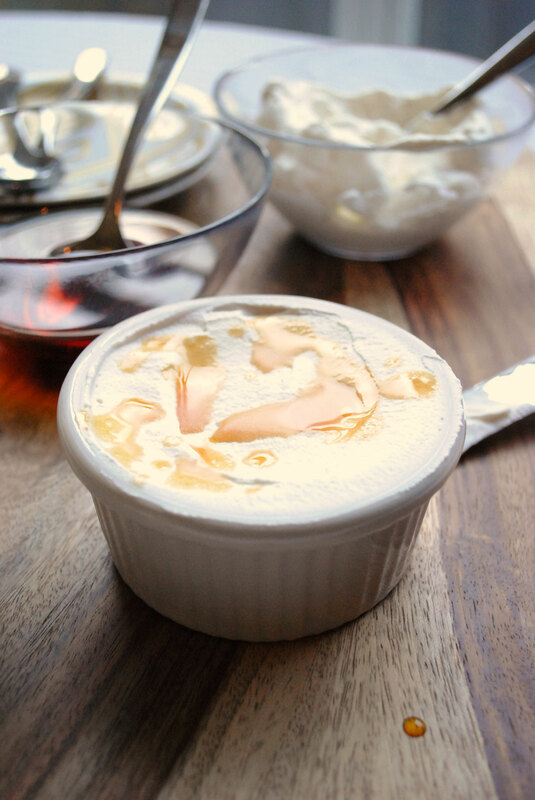 You could also bake this in individual ramekins for a little more formal dessert. I sliced the apples very thinly (32 slices per apple to be exact) because that’s how I like them. This little gadget cores and slices apples into 8 equally sized pieces with one cut. It’s definitely a time-saver, and definitely a uni-tasker, but one of my favorite kitchen tools. Go get yourself one! It made all the apple slicing easy. But you do still have to peel them. I kind of hate peeling apples, probably because I’m not very good at it and come close to losing a fingertip every time I do it. I assembled this one afternoon and didn’t end up baking it until the next night. So you can make this a day in advance and bake it straight from the fridge, which makes this a good dessert to serve for a dinner party because you can make it ahead and then pop it in the oven when you sit down for dinner and it’ll be ready once everyone is done eating. Serve this with warm with a scoop of vanilla ice cream, Blue Bell if you can get it where you live. Nothing beats Blue Bell Homemade Vanilla when you’re topping a warm fruit dessert. But any vanilla ice cream will do! Enjoy! Combine flour, oats, brown sugar and salt in a medium sized bowl. Cut in the butter with a pastry blender or your hands until butter is incorporated but with many pea sized pieces. Mix in the pecans. Set in the fridge until ready to use. Place butter in a small saucepan over medium-low heat. Watch the butter closely once it has melted. It will start to foam and bubble, once it begins to brown and smell nutty, remove from the heat and let cool slightly. 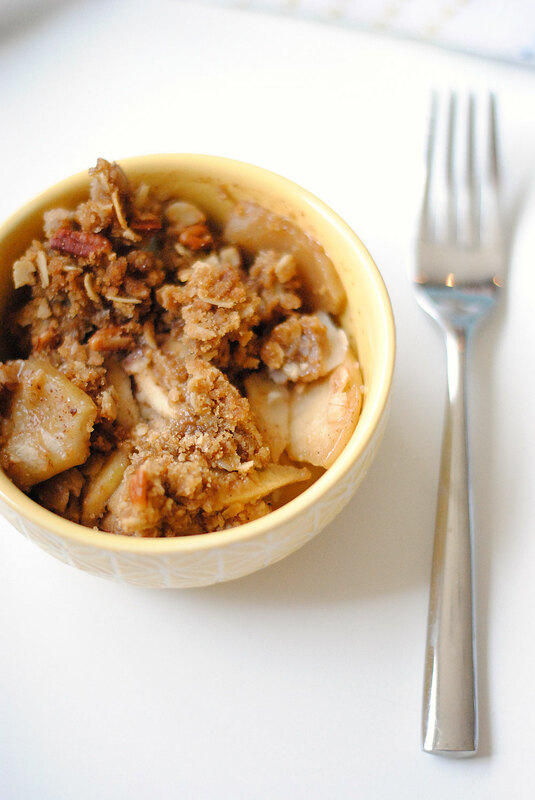 In a large bowl combine apple slices, brown sugar and cinnamon and toss together. Pour the butter over and toss to coat apples. Pour apples in baking pan, then spread topping evenly over the apples, pressing down slightly. Place on a baking sheet if you’re using a small pan to catch any drips. Bake for 45-60 minutes, until topping is crunchy and browned and the edges are bubbling. Let cool slightly before serving. 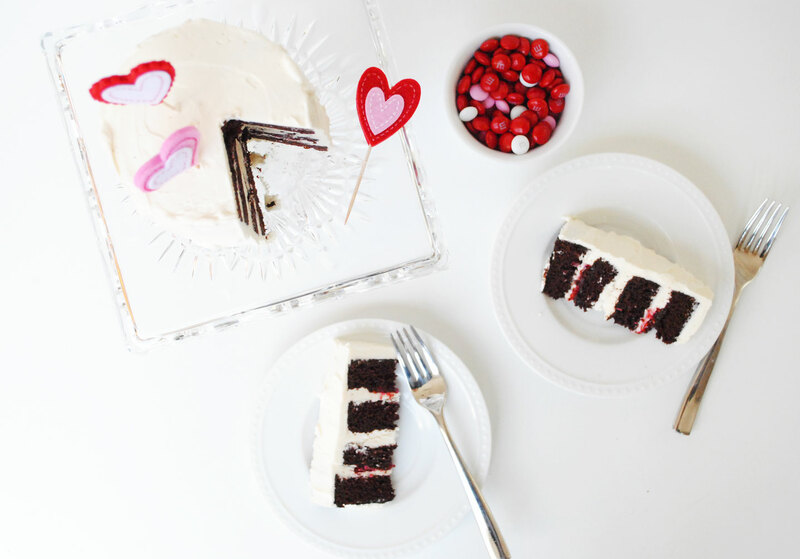 This little cake is the cutest and most perfect Valentine’s treat for you and your special someone. 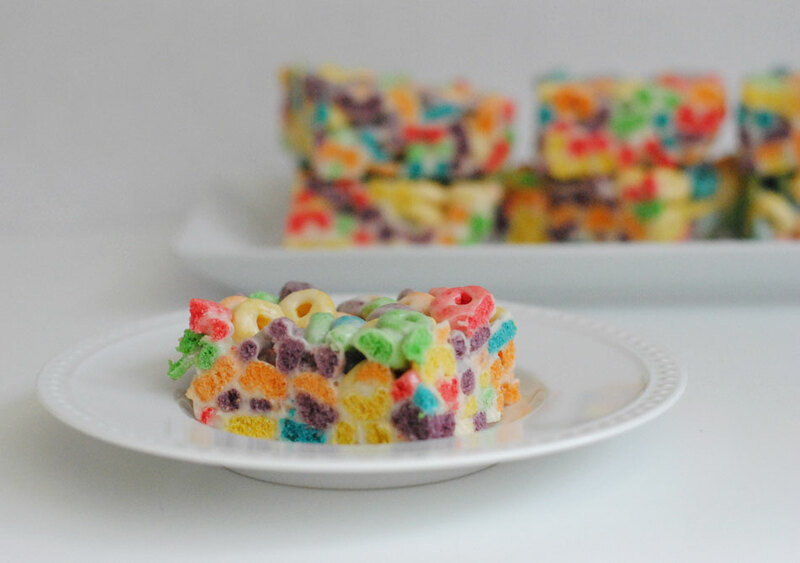 It would also be the perfect birthday cake for a small party or as part of a dessert buffet. Cupcakes are delicious and easy and not as much trouble as a layer cake. And you can probably get wonderful cupcakes at a number of bakeries near you since they are still pretty popular and trendy. I have some favorites here in Houston that I visit whenever I’m in the neighborhood, Celebrity being my cupcake bakery of choice. Try the s’mores on Wednesday or Sunday. It’ll change your life. Buying a cupcake for yourself is much more acceptable than buying an entire cake for yourself. But when you’re wanting something a little extra special a layer cake fits the bill much better than even the most fancy cupcake. Making an 8 or 9-inch cake is probably not something you want to do when you’re making dessert for two because then you’re stuck eating what’s left for a week or, God forbid, throwing it away. Tragedy! 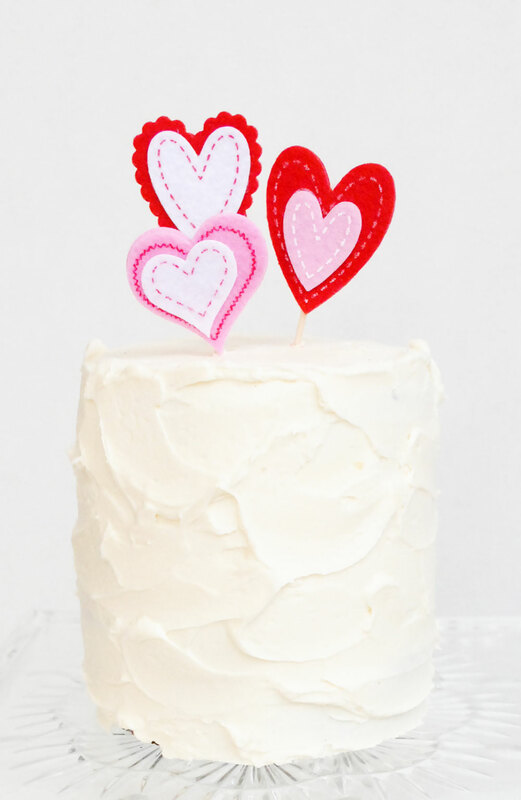 This darling 4-inch cake is the perfect size for two, and could really feed 4 or even 6 light eaters. The cake recipe is from Baked Explorations and is a simple one that comes together easily and bakes up nicely. I was able to get 2 4-inch cakes and a dozen cupcakes out of the batter. I did have an issue with the cupcakes baking and spreading out instead of up, and sticking a little to the pan. So be careful when filling, 2/3 is just fine, and if they do spread onto the pan just use some care when removing them, otherwise the tops will separate from the bottoms. The final cake is a nice balance of substantial yet moist, has a nice chocolate flavor and isn’t too sweet. The coffee in the batter isn’t detectable, it just enhances the chocolate flavor. I used 2 4-inch springform pans that I bought at Hobby Lobby when I made a smash cake for Betsy back in September. At the time I wasn’t sure how much use I’d get out of them or how they’d hold up, but now I’m sure they were a good purchase. The frosting is from Tasty Kitchen, Pioneer Woman’s recipe sharing site. Can you tell I’m kind of obsessed with her? I can honestly say I haven’t made anything she’s endorsed that I haven’t loved and wanted to make again and tell everyone about. This frosting is a little weird, cooking together flour and milk as the base, but if Ree says it’s good I go for it. And it is very good. It takes some patience (and a stand mixer) but is really nice and smooth, velvety even. 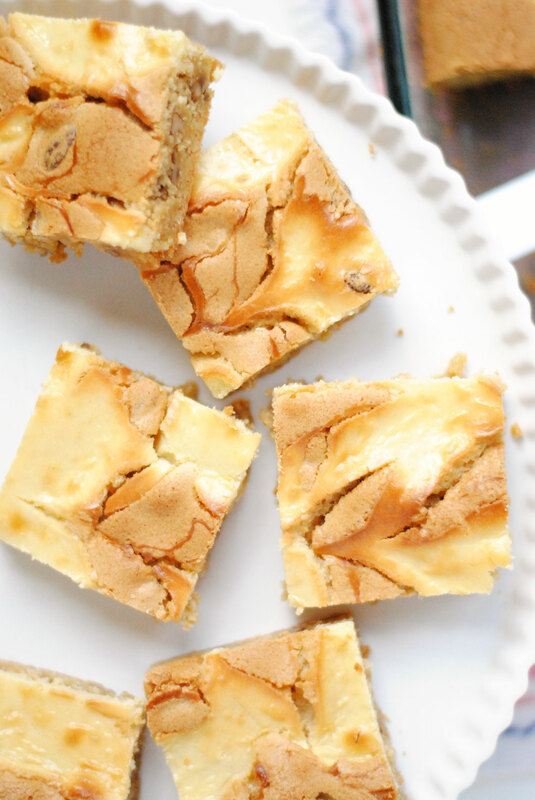 It’s lovely, buttery, and not so sugary sweet. The amount the recipe made iced the cake and a dozen cupcakes just about perfectly. 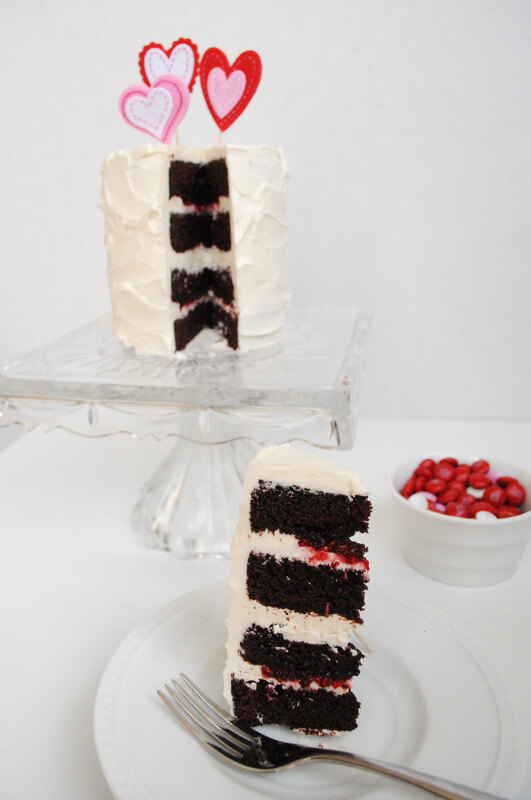 I also love the contrast of deep dark chocolate cake to pure white frosting. Opt for a chocolate frosting if you just can’t imagine chocolate cake with anything but chocolate frosting. I cut my two 4-inch cakes in half to create a four layer cake. I filled the first and third layer with a little raspberry preserves, but you can leave it out completely, or use cherry or strawberry. In order to fill the layer without it oozing out the sides, create a dam of icing around the perimeter of the cake layer and fill the inside with the preserves. The best tool for this is a pastry bag with a large round tip, but a plastic bag with a small corner cut off would work as well. For the toppers I found some sticky felt hearts at a craft store and simply stuck two together with a toothpick between them. You could also cut hearts from craft paper and decorate them, or make glittered hearts for a fancy sparkling topper. You could leave the cake plain, white, simple and clean. Or top with a few raspberries, cherries or strawberries. 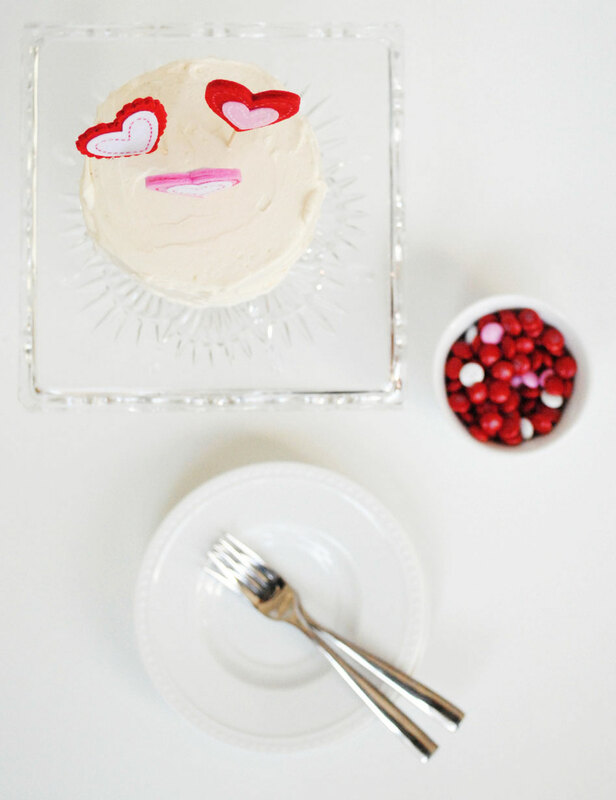 I added a little bowl of Valentine’s colored M&Ms to the table to photograph this cake to add some color. That is what initially drew this little taste tester to the table. But he ended up really enjoying the cake. 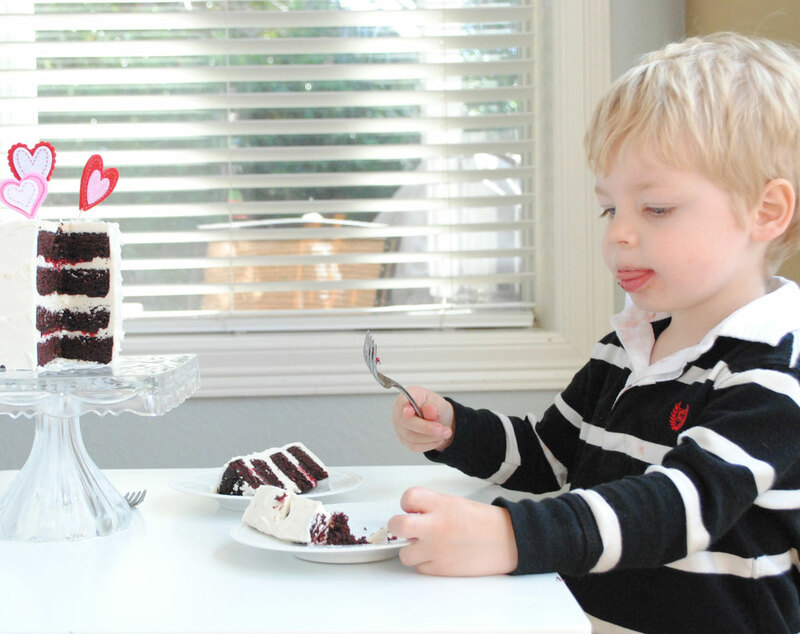 I couldn’t help but put this picture in since his stripes just so happen to coordinate with the cake. 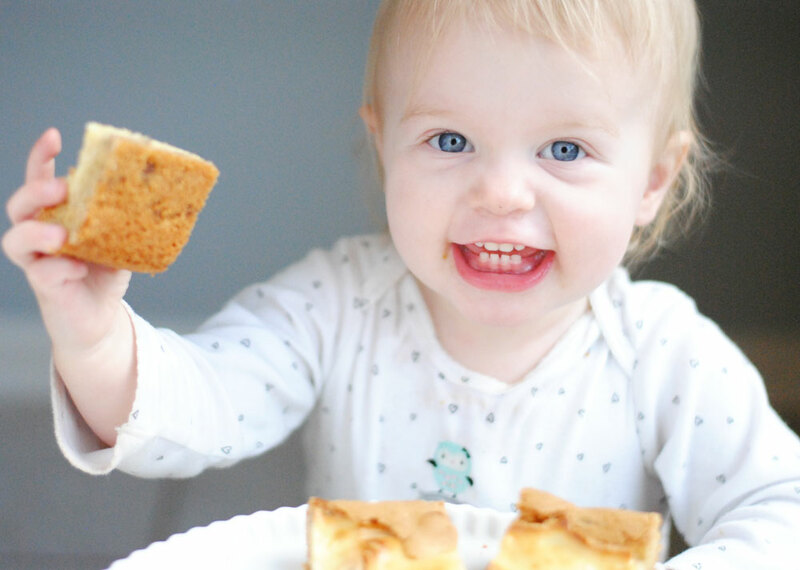 I have a blog for the kids, so I told myself I’d make this just a food blog, but so far they’ve managed to sneak their way into 3 posts. So I’ve changed my tune and you’ll likely see more of the tiny taste testers in the future. Enjoy! Grease 2 4-inch cake pans (or 2 8-inch cake pans and line them with parchment) and then dust with cocoa powder. Line one muffin tin with cupcake liners, if using. Set aside. Break up chocolate and place it and the cocoa powder in a heat proof bowl. Pour hot coffee over and whisk to melt chocolate until the mixture is smooth. Whisk in the milk and set aside. In a small bowl whisk flour, baking soda and salt. Set aside. In the bowl of a stand mixer combine butter and sugars and beat until light and fluffy. Add in the eggs, one at a time and beat until smooth, scraping down the bowl as needed. Add in vanilla and beat for another 30 seconds. With the mixer on low, add the flour and chocolate mixture, alternating between the two, starting and ending with flour in a total of 5 additions (flour, chocolate, flour, chocolate, flour). Beating just to combine between additions. Fold together with a spatula to make sure it’s evenly mixed. Divide the batter between the pans, filling 4-inch pans about 2/3 full, cupcakes 2/3 full and simply divide the batter equally for 8-inch pans. Bake cupcakes for 20-25 minutes, 4-inch cakes for 25-30 minutes, and 8-inch cakes for 35-40 minutes, rotating pans halfway through baking. A toothpick inserted into the center of the cake should come out clean when they’re done. Let cakes cool in the pans for about 10 minutes, then carefully remove and let cool completely on wire racks. Combine flour and milk in a small saucepan and turn the heat to medium. Heat, whisking constantly, until the mixture becomes thick, like brownie batter. This happens quickly once it starts to thicken and if you don’t whisk it, then it will be lumpy with bits of cooked flour and you’ll have to start over. In a stand mixer combine the butter and sugar and cream until light and fluffy and the graininess of the sugar has decreased or is completely gone. Mine never got totally non-grainy, but beat for about 5 minutes. Add the completely cooled flour mixture to the butter and sugar and beat on medium-high until it is light and fluffy. If it looks separated, continue to beat it until it resembles whipped cream. This took around 8 minutes. 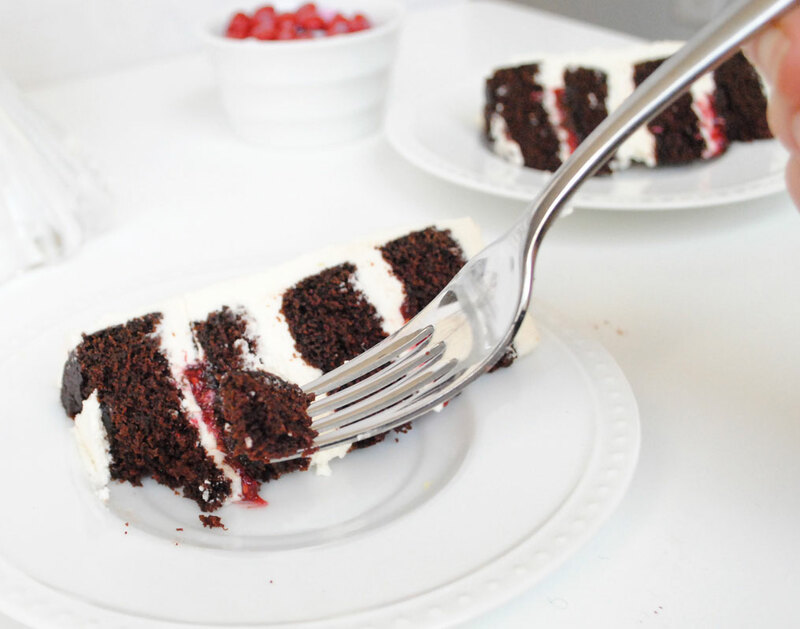 Slice both cake layers in half, getting them as even and as straight as possible. A serrated knife is good for this. Plop a little frosting in the center of the cake plate and lay the first layer down. This keeps it from moving around while frosting. 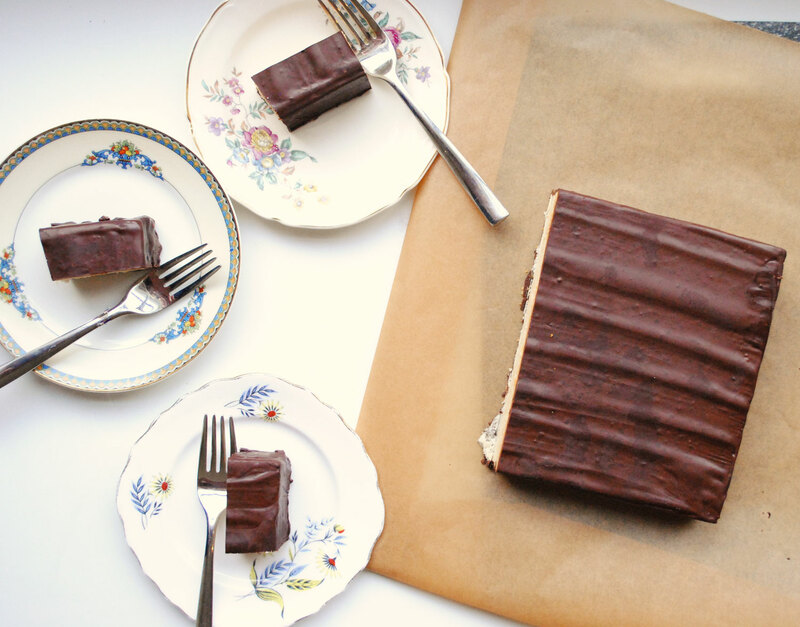 Tear a few strips of wax or parchment paper and slide them just barely underneath the cake. This keeps the cake plate clean while you frost. Just slide them out after you finish. Prepare a piping bag with a large round tip and fill with about 1/2 cup of frosting. 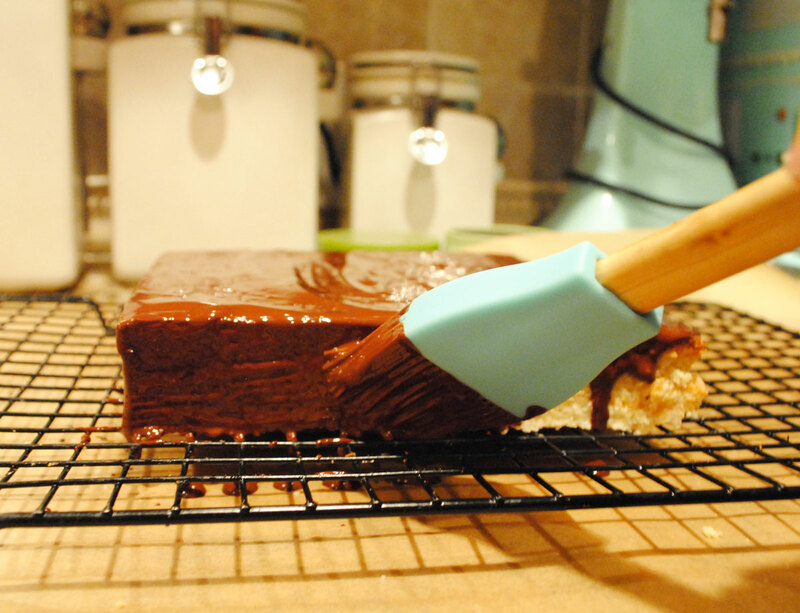 Spread a little layer of frosting on the cake layer, then pipe a circle around the edge of the layer. Spread a thin layer, about 1 tablespoon, of raspberry preserves inside of the circle, then top with the next layer and press down slightly. Spread a nice layer of frosting on the layer, then top with the next layer. Repeat the raspberry filling layer, then finish with the last layer. Frost the cake with a thin coat of frosting, being careful not to contaminate the bog bowl of frosting with any chocolate bits. Set in the fridge for an hour. This is a crumb coat. Frost with another coat, thicker this time, this is the final coat. Decorate as desired. Happy February! 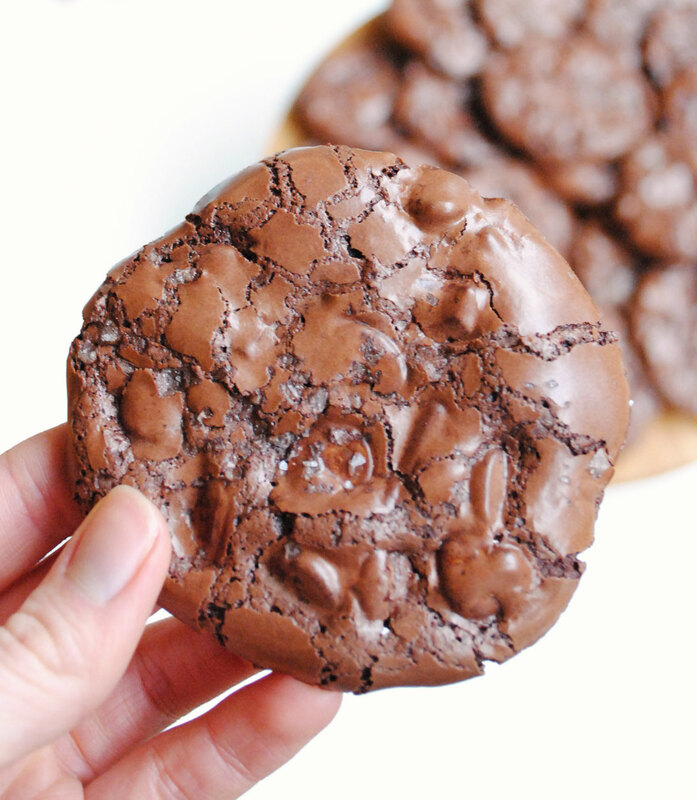 Earlier in the week I shared this flourless chocolate cookie recipe and declared that I would be sharing more chocolate recipes as we get closer and closer to Valentine’s Day, a day that should be full of chocolate. The name of this blog is Hottie Biscotti, but I’m fairly confident that I’ve only shared one biscotti recipe. So I thought it only appropriate to make some chocolate biscotti. 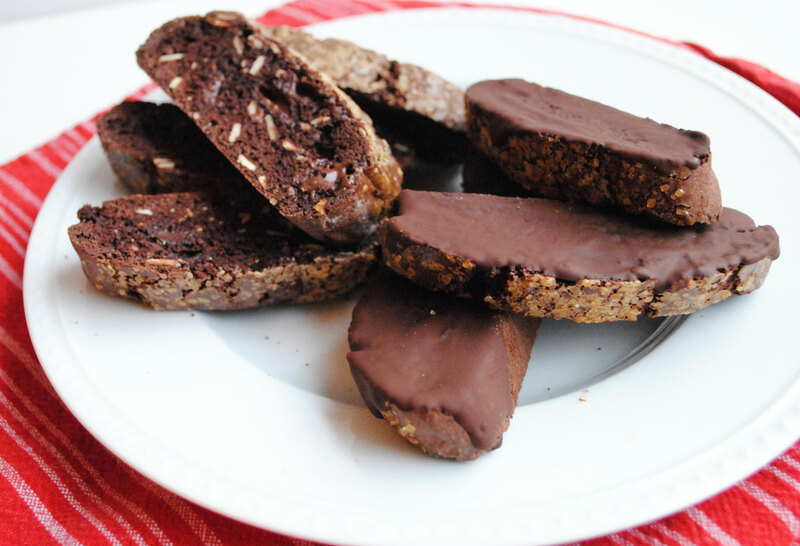 Biscotti means “twice-baked”. The dough is baked once in a log, allowed to cool slightly, then sliced into pieces and baked again creating a crunchy cookie that begs to be dipped into your hot beverage of choice. 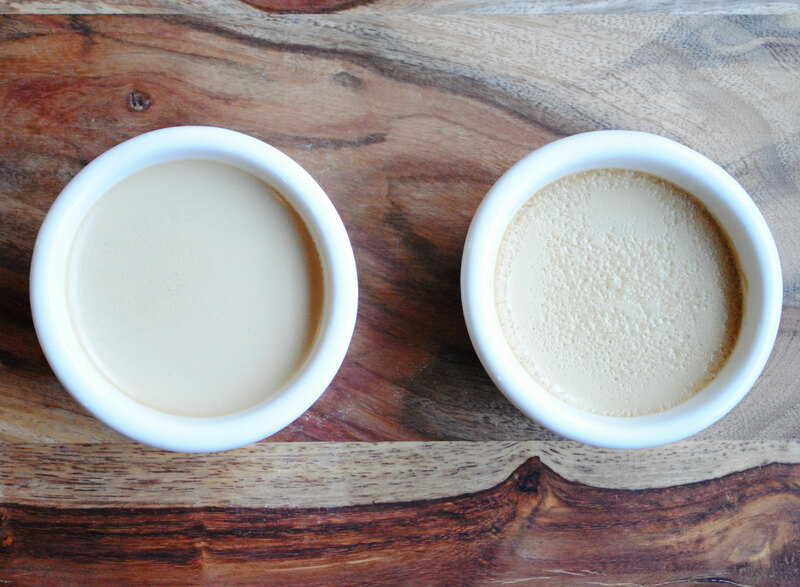 Coffee is mine, but tea or hot chocolate would do just fine. And they’re delicious eaten just as a cookie without any dipping. 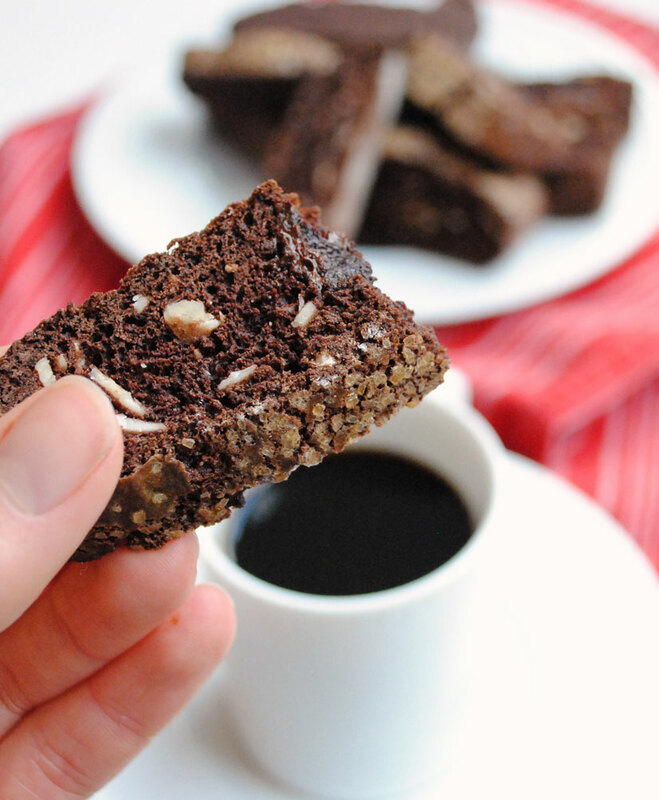 This biscotti is full of almonds and chocolate chips, but isn’t too sweet, making it the perfect morning or afternoon snack. 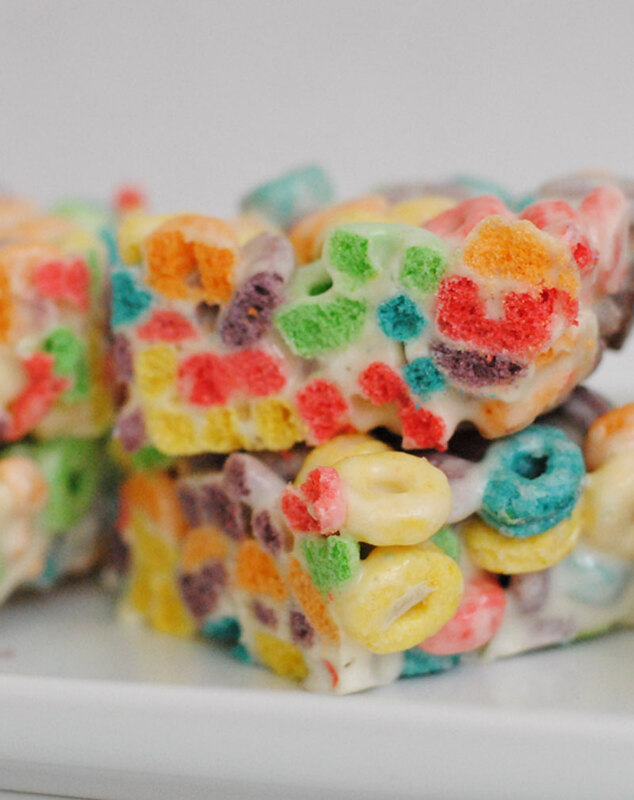 They would be wonderful crumbled up over a bowl of vanilla ice cream. They’d also make great little gifts. This recipe is from Dave Lebovitz, a pastry chef whose blog I started reading a few months ago. It’s a great mix of recipes, stories about life in Paris, cooking tips and restaurant reviews. It’s been a fun change of pace in blog reading for me, since very few of the blogs I read are written by chefs, most are home cooks like myself. Check it out and drool over some French food and wine, learn some things you didn’t know and grab some great recipes. In a medium bowl sift together flour, cocoa powder, baking soda and salt. In the bowl of a stand mixer combine eggs, sugar and extracts and mix until well combined. Add in the dry ingredients and mix until just combined, then add in almonds and chocolate chips and mix until evenly distributed. The dough will be very stiff. Turn dough out onto a lightly floured work surface. Divide dough in half and form each half into a log, about 8 or 9 inches long and 3/4 inch high. Transfer each log to the parchment lined baking sheet. Whisk egg and brush tops of each log, then sprinkle with sugar. Bake for 25 minutes. Remove from the oven and let cool for 15 minutes. Move logs to a cutting board and slice on the diagonal into 1/2 inch pieces. A serrated knife works well for this. Place slices back on the parchment lined cookie sheet and return to the oven for 15-20 minutes, then flip cookies over and cook for another 10 minutes. Remove from the oven, transfer to a cooking rack and let cool completely. 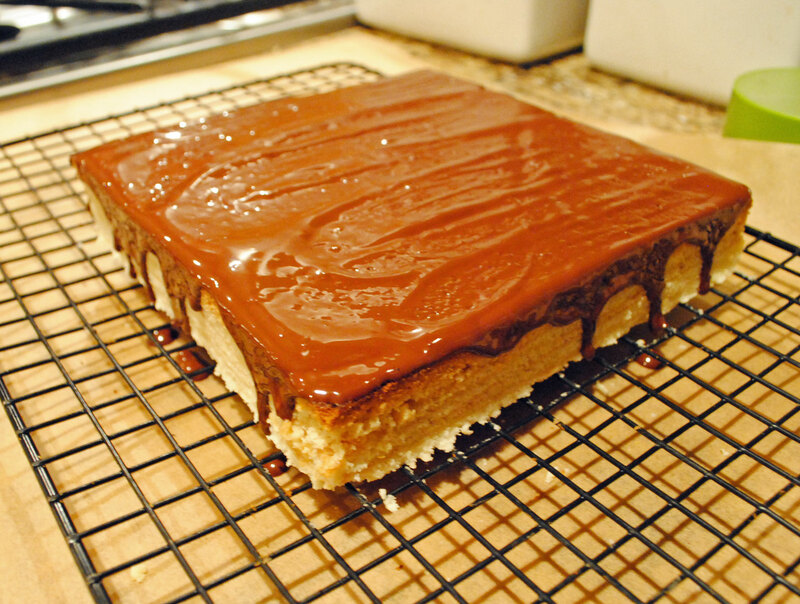 You can coat one side in chocolate if you’d like to or leave them plain. To coat in chocolate: melt chocolate and vegetable oil over low heat, stirring constantly until chocolate has just melted. 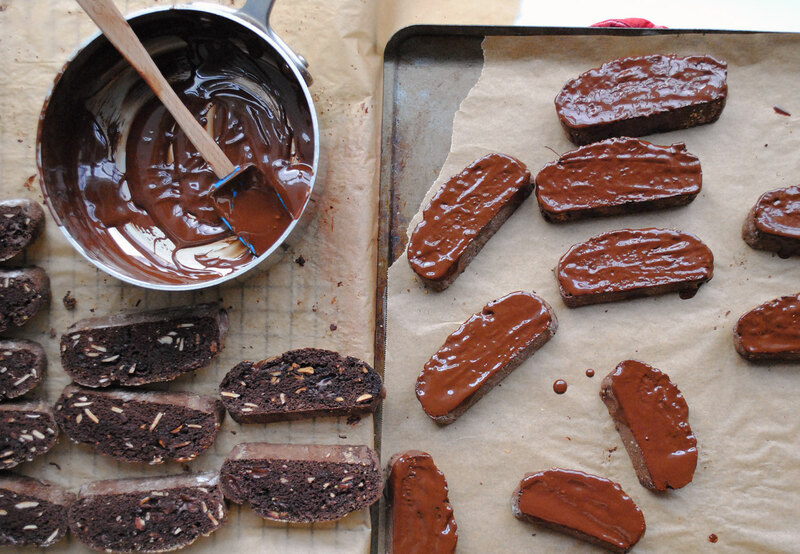 Remove from the heat and spread chocolate onto one side of the biscotti in a thin layer. Move to a clean piece of parchment and allow the chocolate to set. 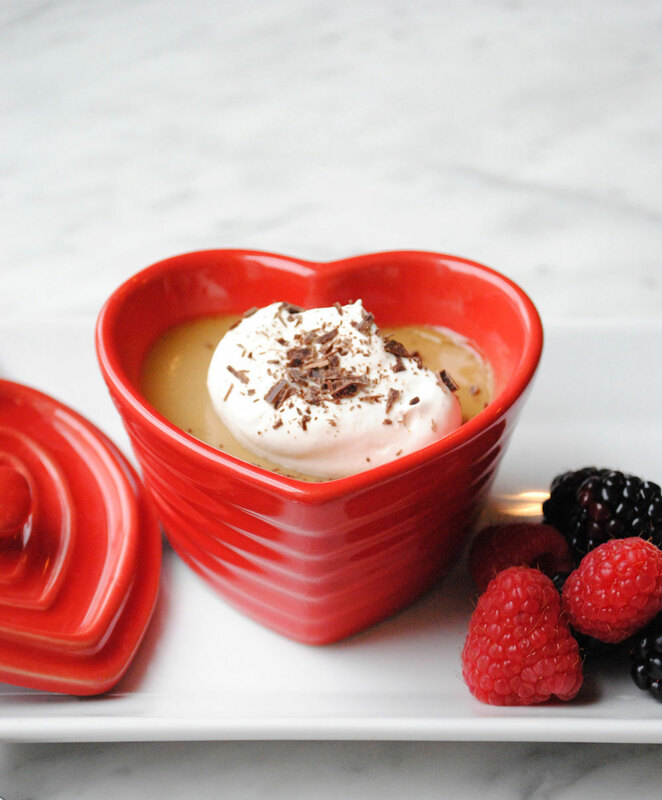 There is a restaurant in Dallas, Neightborhood Services, that has a butterscotch pot de creme on the dessert menu. The first time I had it I had to close my eyes it was so delicious. I might have come close to falling out of my chair. They serve it in little glass jars with those flat wooden spoons. The presentation adds to the amazingness of it, as does eating off of those cute wooden spoons! Since then I’ve said I was going to make them myself. Well I’ve finally done it, and the results were incredible. Not quite Neighborhood Srevices incredible, but I think sometimes recreating a restaurant dish is next to impossible since the atmosphere isn’t the same. But I’m getting off the point. 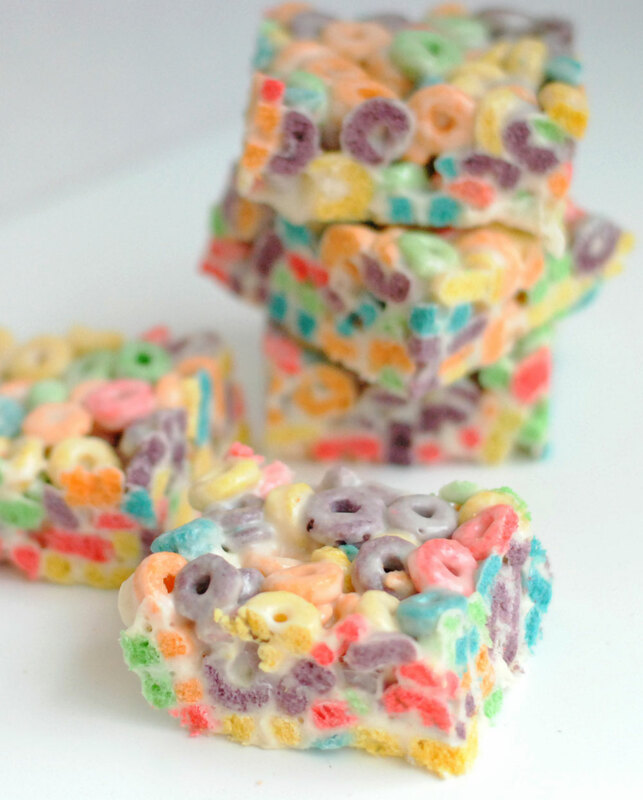 These are truly amazing and wonderful and you should make them. You’ll make friends for life with whoever you share them with. 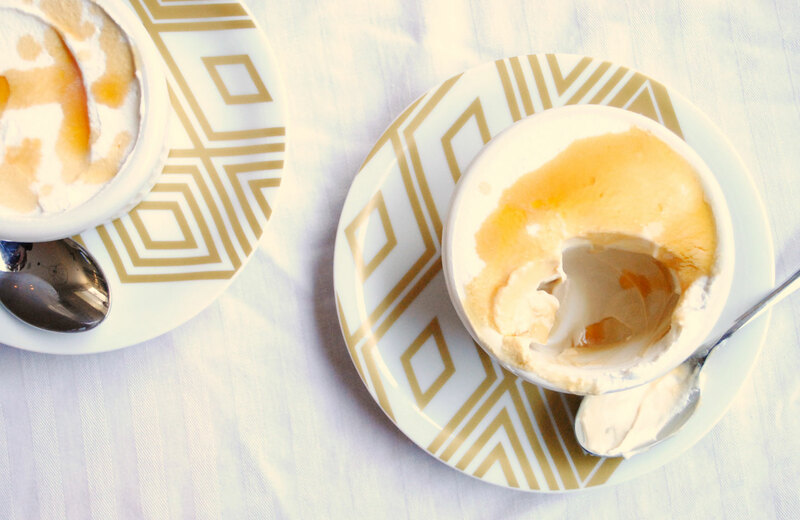 These creamy, decadent, sweet and just slightly salty desserts would make a great end to a dinner party since this recipe makes enough to fill 12 4-ounce ramekins. If you’re not looking to make a dozen of these, then just cut the ingredients in half and use larger, 6-ounce ramekins or the smaller size and have a few leftover. I’ve enjoyed a few of these now over the last couple of days after storing them covered in the fridge and every time they’re just as delicious. 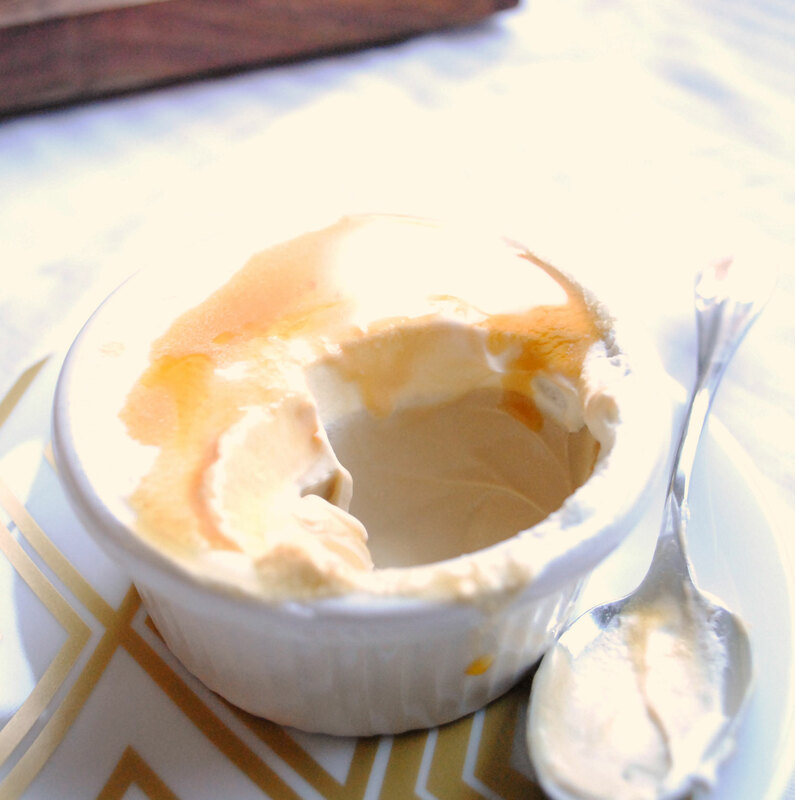 Pot de creme sounds fancy, but it’s just a baked custard, literally “pot (or jar) of cream” in French. Say something in French and it automatically becomes fancy! And pot de creme is not hard to make. You can easily make these as long as you have the right tools and follow the directions. There are only a couple tools you may not have in your kitchen that you need. Oven safe ramekins, either 4 or 6-ounce. I have these and love them, but they are on the smaller side. Might invest in some larger ones at some point, like these simple ones. Or someday a set of these. A fine mesh strainer, like this one. Make sure to get one with a lip on the opposite side of the handle so it will hang on your bowl while you pour in the custard. Since they require at least 4 hours of chilling you can even make them ahead of time (earlier in the day or the day before) making pulling off a dinner and impressive dessert much easier. I’ve tried before to make a nice dinner and dessert, and doing them too close together found me almost too tired to enjoy it all, and I’m pretty sure we ate both dinner and dessert much later than I’d planned. And my kitchen was a disaster. Getting dessert done early makes your life much easier. The only problem I ran into was the difference in these two custards. You can see the one on the left is smooth and beautiful. The one on the right is a little textured on top and if I’d spooned out a bit you’d see it had formed a small amount of skin. But still tasted amazing! And if you cover the tops in whipped cream you don’t have to worry about it, but it bothered me still. I can identify a couple of things that could have caused the difference. Letting the custard mixture sit before baking. Since I had 12 custards to bake I had to do them in two batches. The smooth and beautiful ones were the ones I baked second. Maybe the weird tops were caused by bubbles in the mixture? Maybe giving the mixture time to settle is a necessary step? Not sure, but I think it’s a good guess. Covering the pan with foil while baking. I baked them all in a water bath, and I covered each pan with foil, but the second batch I covered more tightly with the foil. So maybe the steam trapped in the pan caused them to cook more evenly? I’m leaning more toward this one. If you make these and discover the answer or if you’re an expert on the subject, please let me know! For the time being I might let my custard sit for a while before baking AND cover tightly with foil just to be safe. The caramel sauce is lovely, both visually and for taste. But you don’t need it. If you do choose to make it, let it cool completely as it is very runny right after it’s made, which makes me think 2/3 of a cup of water is too much. Even after a night in the fridge it’s still not thick. I drizzled the sauce on top of the cream, but you could pour a little caramel onto the custard itself and then top with cream. It would be a nice surprise when you dip your spoon down for the first bite. I apologize for the length of this recipe. Once I started adding in little tips and more detailed instructions it got LONG. If you feel comfortable with custard making, caramel making and all of that go to the linked recipe for a more condensed and succinct recipe. Stay here for overly detailed instructions : ) Enjoy! Pots de Creme: Preheat the oven to 325°F. In a large saucepan, melt the butter over medium heat. Add the brown sugar and cook over medium high heat while whisking constantly until mixture is smooth, thickened slightly and bubbling, about 5 minutes. Whisk in the cream in a slow, steady stream, the mixture will bubble and steam. Return the mixture to a boil, whisking constantly, then remove from the heat and stir in the salt. Whisk the egg yolks in a large heatproof bowl. Whisk in the hot cream mixture, a little at a time until you’ve added about 2 cups, then whisk in the remaining mixture in a slow steady stream. Strain the custard through the fine mesh strainer into another large bowl. 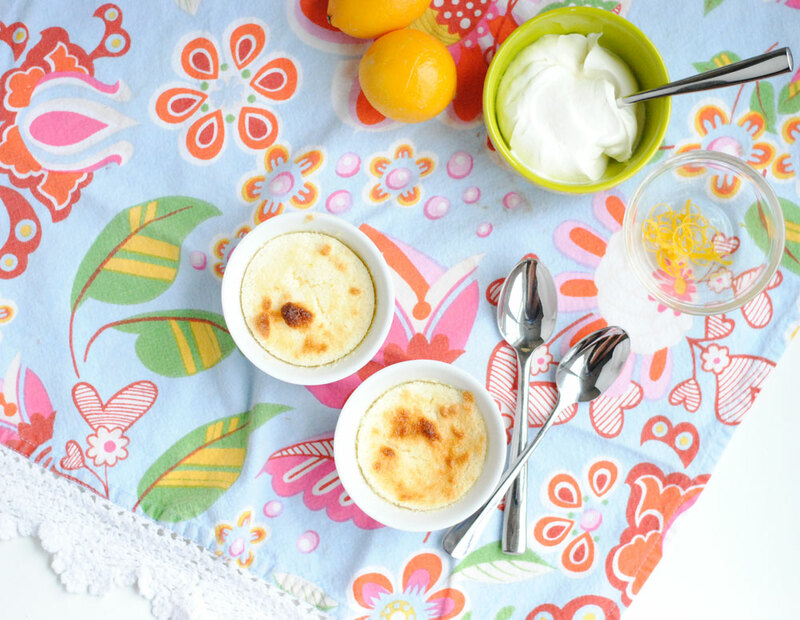 Fill your ramekins with the custard. Place the ramekins in a roasting pan or a 9×13 baking pan. Place the pan in the oven, then fill the pan with boiling water until it reaches about halfway up the sides of the ramekins (being careful not to get any water in the custards) then cover the pan with foil. You may need to bake one batch at a time if you’re baking 12, and that’s just fine. Bake for 1 hour (45-50 minutes for smaller ramekins), until the custards are set but still wobbly in the center. Remove ramekins from the water bath, place on a wire rack, then place the rack in the fridge and let custards chill for at least 4 hours. If you’re going to make these the day before, cover each with foil after the 4 hours. Caramel Sauce: In a medium saucepan, mix the sugar with 2 tablespoons of water and cook over high heat without stirring, until a deep amber caramel forms, about 6 minutes. Take a pastry brush and wash the sides of the pan with water a couple times during cooking to keep crystals from forming. Remove from the heat and add 2/3 cup of water (sugar will violently bubble and steam so be careful) and stir until smooth. Let the caramel cool, then stir in the vanilla. Whipped Cream: Beat cream on high in a large bowl (stand mixer with whisk attachment or hand mixer) until it just starts to thicken. Add in the powdered sugar and extract and continue to beat until cream holds peaks well. Do not overbeat or you’ll make butter. If the cream starts to look like it’s curdling stop and fold it by hand to smooth it out. 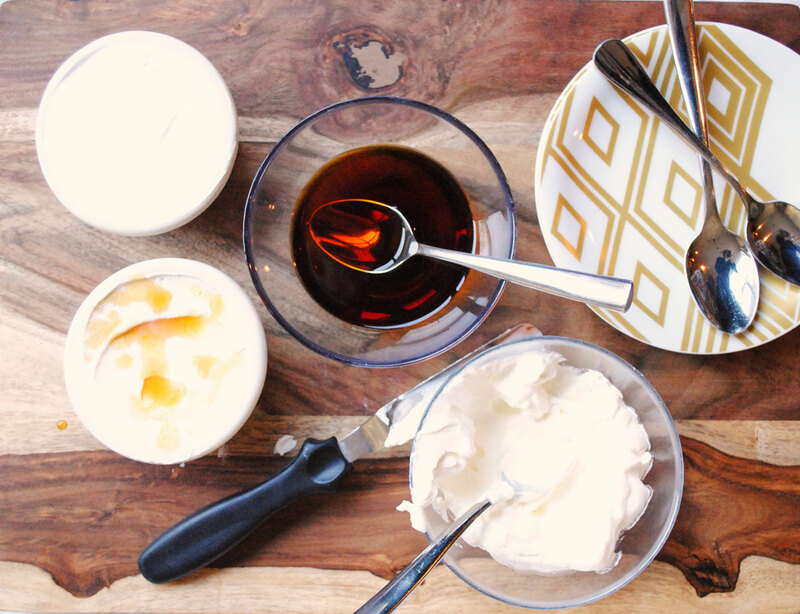 Top the pots de creme with whipped cream and caramel sauce right before serving. The caramel sinks into the whipped cream and doesn’t look as beautiful after sitting for a while. You can top each with whipped cream a few hours before and then drizzle with sauce right before serving. Or let guests top their own with cream and caramel. 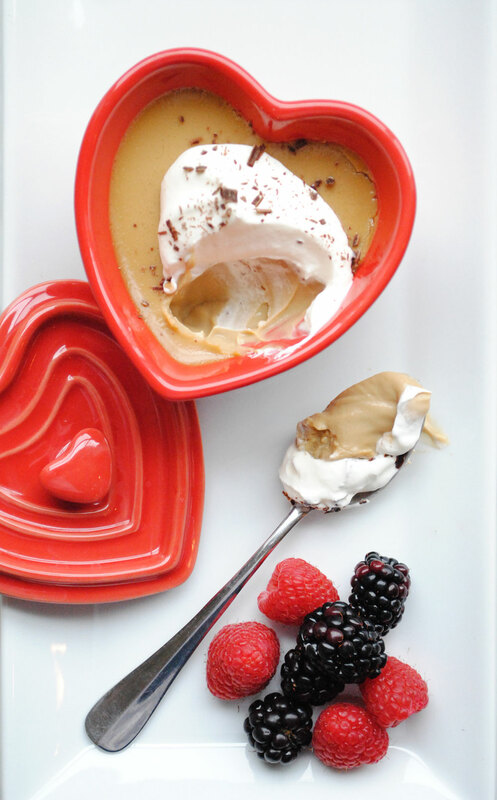 Valentine’s Day is fast approaching and while it’s not my favorite holiday, it is a perfect excuse to make and enjoy loads of sweet treats. It’s also a good excuse to enjoy an especially nice meal with your sweetheart, either at home or out. Candles and roses required of course. In anticipation of Valentine’s Day I’ve decided to spend the next couple of weeks baking and sharing some delicious Valentine’s Day goodies. By the time it rolls around my husband is probably going to be sick of chocolate, but that’s ok. I’ll pick up the slack. I have this amazing ability to endure baked goods and sugar beyond what is considered normal. What can I say, it’s a gift! 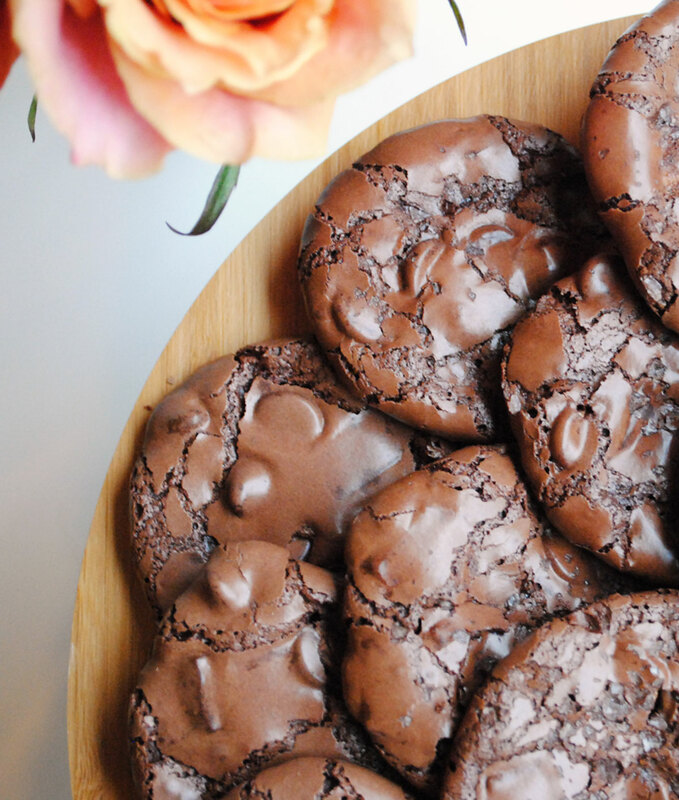 These are not your typical chocolate cookie since they’re flourless (gluten free!) and end up being very crunchy on the outside with just a little bit of gooey middle. Whole Foods makes a similar cookie that has walnuts which I kind of love. You could easily adds nuts into this cookie if you’d like. The pure chocolately goodness of them without nuts is wonderful, though. The cocoa powder, semi sweet and milk chocolate chips makes these triple chocolate, but you could opt for just one kind of chip, or go crazy and add in dark chocolate chunks as well. This cookie batter/dough comes together in no time and while you can use a stand mixer, you don’t need one. The ingredients are simple and you likely have them all in your kitchen right now. You definitely need to bake these cookies on parchment paper or a nonstick silicon mat. They stick a little, even to the parchment, so use a stiff spatula (or a small offset one) to get underneath the cookies as you’re taking them off the sheet. This way you won’t lose any chocolate pieces. That would be a tragedy. Watch out for little hands. They’ll swoop down when you least expect it and steal these. I let her eat the whole thing by the way. Right before dinner. Great parenting over here. Line 2 baking sheets with parchment (you’ll need more parchment for each batch). Whisk together powdered sugar, cocoa powder, cinnamon and salt. Beat in the egg whites until well combined, then mix in vanilla. Fold in chocolate chips/chunks and nuts if desired. Spoon batter, 2 rounded teaspoons per cookie, onto your cookie sheets, spacing about 2 inches apart for spreading. I found I could fit 6-8 cookies per sheet without any problems. Sprinkle each cookie with salt if desired. 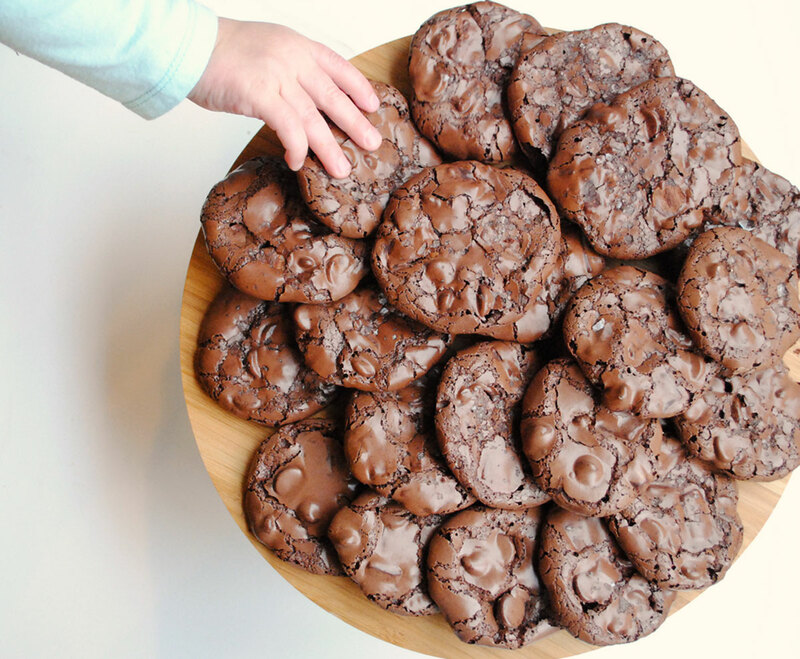 Bake for 12-14 minutes until cookies look just set and dry on top with some cracking. Let cool on the pan for a few minutes before removing to a cooling rack. The January 2014 Daring Bakers’ challenge was hosted by Francijn of “Koken in de Brouwerij”. 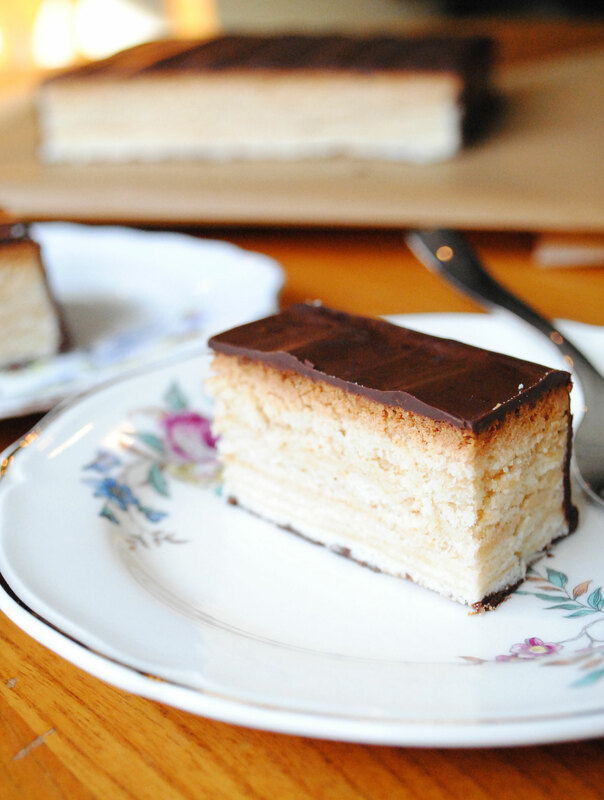 She challenged us all to bake layered cakes in the tradition of Baumkuchen (tree cake) and Schichttorte (layered cake). The last Daring Bakers I participated in was in January of 2012. That’s right. 2 years ago. In January of 2012 we had just moved in to our rent house in Houston and not too long after I discovered I was pregnant with Betsy. With a move and a new baby that year I was kept pretty busy. By that time I was out of the habit and blogging wasn’t a priority, so 2013 came and went without any Daring Bakers challenges. But with my resolution to blog more came a desire to get back into it. I’d forgotten how many things I’d made that I’d never have made otherwise. Thanks, Daring Bakers. This is a fun group to be a part of and I’m glad to be back. Hoping to continue participating this year without interruption…with the exception of the month of June. And maybe July. We’ll see how it goes. 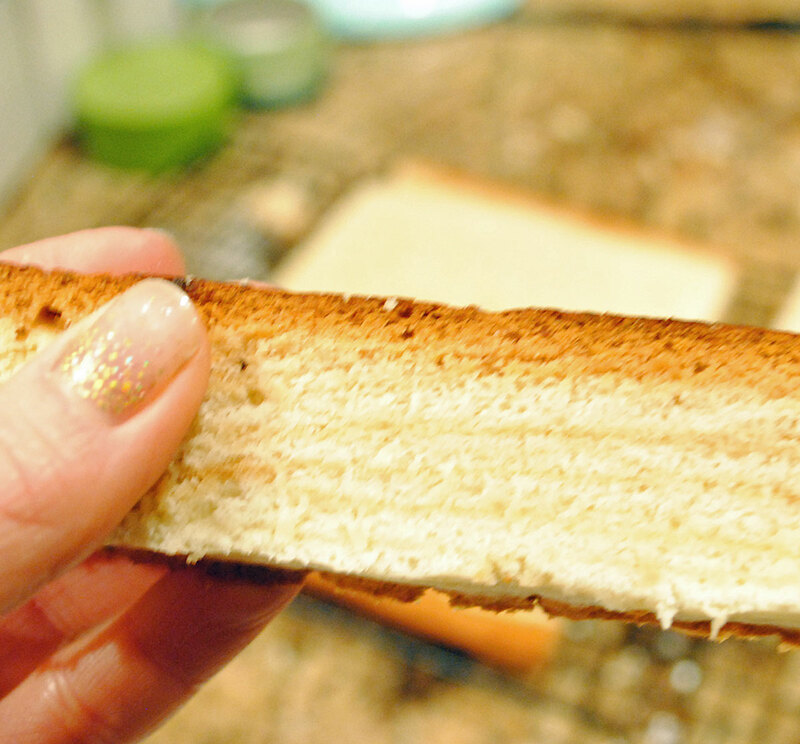 Tree cake, or baumkuchen, is something I’d never heard of or seen before taking a look at the January challenge. And to be honest, I might not have made it even if I had seen it somewhere. The process of making the cake is time intensive, baking the cake in 10-12 layers, and the cake batter is more involved than cakes I’ve been making recently. Separating eggs and beating egg whites to stiff peaks and folding them in is something my lazy self has not had the desire to do. But it was a lot of fun and I actually enjoyed the entire process and the final result. One of the only problems I encountered is that I didn’t do a great job of estimating how thick to spread my layers in order to end up with 10-12 total. My first layer was too thick, then the next 6 or so were too thin, and by that time I had so much batter left over that my final cake was probably 16 layers total and had baked for at least 12 extra minutes. This made the bottom of the cake (the first layer I made) pretty dark. I’m afraid this also made the cake just a tad dry. I also chose not to glaze the cake with jam before glazing it with chocolate. That would’ve likely added some moisture. BUT the flavor of the cake is really amazing. The almond flavor is present but subtle. I ate all the edges I trimmed off just plain and they were terrific. It’s a really dense and sturdy cake. Great to enjoy with a cup of coffee or tea. 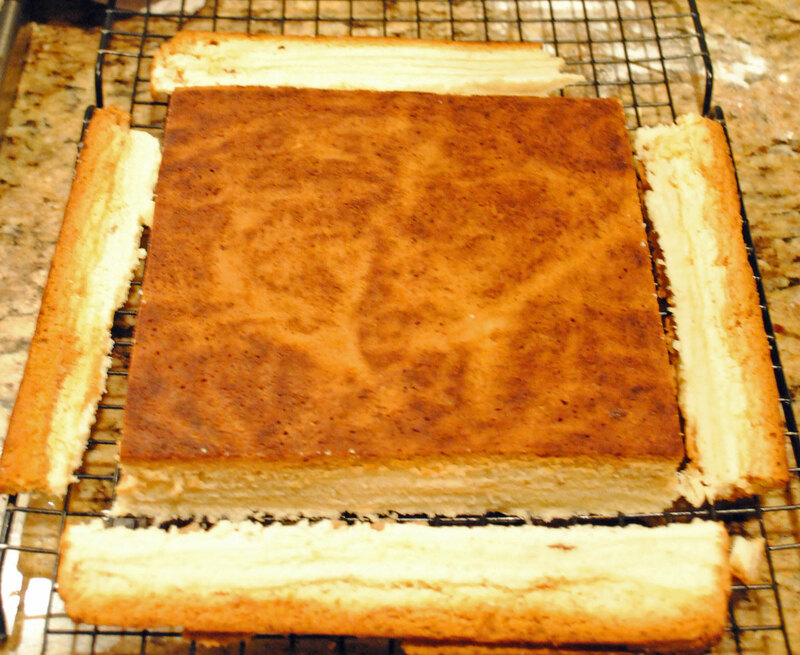 I used a recipe for my baumkuchen from Allrecipes that is very similar to the one Francijn provided but has cornstarch in the batter. The cooking method I used was Francijn’s, baking each layer for 3-4 minutes at 450°F. I glazed the cake with dark chocolate melted with a little vegetable oil and it came out beautifully and was a nice contrast to the sweet cake. Here’s a little step by step. This challenge was a fun one and was definitely out of my current baking comfort zone. A perfect Daring Bakers challenge. Thanks, Francijn! Grease an 8×8 pan then line with parchment paper. I used two sheets cut to the width of the pan and crossed them. Trim excess overhang on all sides. Grease the paper and set pan aside. Cream the butter until light and fluffy. Add in the almond paste in chunks and beat until well combined. You may see small chunks of paste, but no large chunks. Scrape the bowl down. Add in powdered sugar, cornstarch, salt and vanilla and beat well. Beats in the yolks, one at a time, until batter is smooth. In another bowl beat eggs whites until soft peaks form. Slowly add in the granulated sugar and continue to beat on high speed until stiff peaks form. Fold whites gently into the batter, then sift flour on top and fold it in as well just until everything is evenly distributed. Spread some batter, enough to lightly cover the pan, onto the bottom of the prepared pan, being careful not to get batter on the sides of the pan (this batter burns and can then drop onto your cake and be baked in). Bake for 3-4 minutes, until layer is lightly browned. Continue spreading and baking layers until the batter is gone. Aim for 10-12 layers total. Let cake cool for 5 minutes, then remove from the pan and let cool completely. Trim the edges off (and save them for snacking!). Melt the chocolate and oil in a double boiler (or in a small saucepan over very low heat being extra careful not to burn it) until smooth and melted. Spread the chocolate onto the top and sides of the cake. Let harden (I did this overnight) then flip cake over onto a sheet of parchment and spread chocolate onto the other side of the cake. Note: You don’t have to glaze the bottom/other side with chocolate. I covered the cake and chocolate overnight, remelted the chocolate the next day and glazed the other side. Don’t try to glaze the bottom before the other chocolate is nice and set.